The IAF on Monday released radar images to show Pakistan’s F-16 fighter jet was shot down during the aerial combat on February 27. 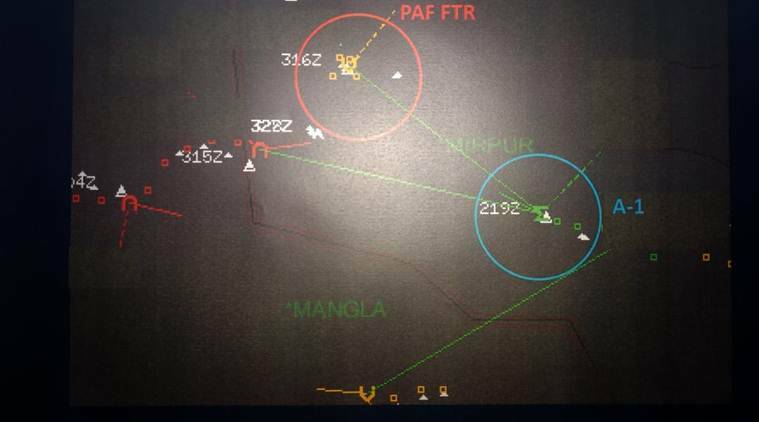 The Indian Air Force (IAF) Monday released radar images as “irrefutable” evidence to confirm that Wing Commander Abhinandan Varthaman had shot down Pakistan’s F-16 fighter jet during the aerial confrontation on February 27 in the Nowshera sector near the Line of Control (LoC). “There is no doubt that two aircraft went down in the aerial engagement on February 27, one of which was a Bison of IAF while the other was an F-16 of PAF conclusively identified by its electronic signature and radio transcripts.” . Citing security concerns, the official refused to provide further information on the downing of the F-16. “We have more credible evidence that is clearly indicative of the fact that Pakistan has lost one F-16. However, due to security and confidentiality concerns, we are restricting the information being shared in the public domain,” Kapoor said.